Denny Jump (Bellevue, WA, United States) on 5 February 2017 in Abstract & Conceptual. On a cold morning, this duck almost seems to be levitating just above the calm water's surface. 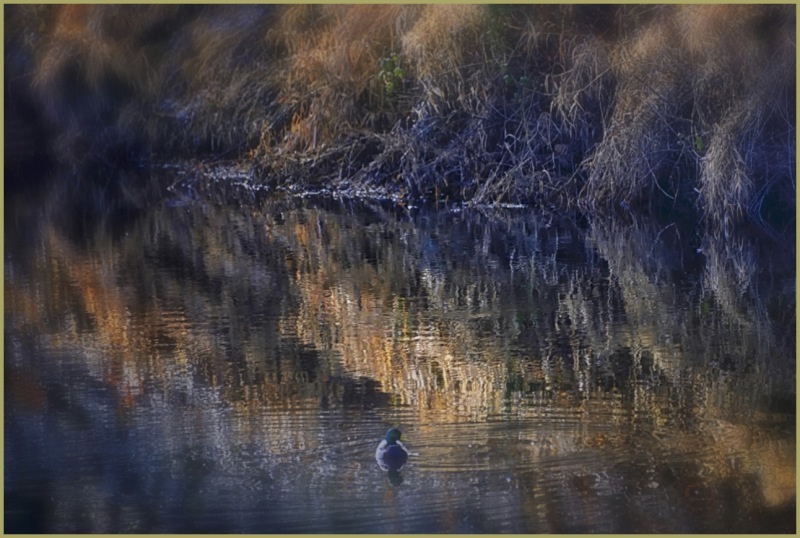 A lovely Mallard and pretty light and reflections. He does seem to float above the water. Indeed it just seems to be skimming the water. Lovely surroundings! Gorgeous colors and reflections. The duck seems to be floating above the water! @B. Thomas: Thank you Barbara. My prayers and love to you all .. Such a tranquil composition with beautiful light and reflections! !